We’ve all heard of wisdom teeth, but what are they really, and are they really needed? 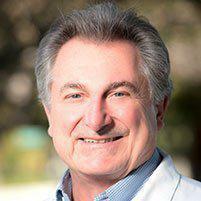 Russell D. di Bari, DDS, of Sunnyvale, California, has decades of experience in helping patients of all ages maintain oral health. If you have questions about your wisdom teeth, make an appointment with Dr. di Bari. Book online or call today. Wisdom teeth are the four final molars that erupt on each side of the upper and lower jaws. Wisdom teeth come in mostly in people’s late teens or early 20s. Since wisdom teeth are far back in the mouth and do not have a chewing function, and may pose a problem at some point, some dentists prefer to remove them before a patient turns 20 — way before the roots have become well grounded in the jawbone. In fact, the American Association of Oral and Maxillofacial Surgeons recommends that dentists perform a routine evaluation of young adult patients’ wisdom teeth for either extraction or ongoing care. A wisdom tooth is impacted when it hasn’t broken through the gum line, hasn’t fully emerged from the gum line, or is growing in crooked. These scenarios can provide easy access for bacteria to surround the tooth and cause an infection, causing pain and swelling. An impacted tooth is also at higher risk for tooth decay and gum disease since it is more difficult to brush and floss. Some people don’t have problems with their wisdom teeth and don’t need them removed. In fact, some people don’t get all four wisdom teeth, or any at all. Each situation differs according to how and if the wisdom teeth emerge, and also the size of your mouth. If you have a smaller mouth and healthy wisdom teeth, you may have an issue with crowding, which may require pulling the wisdom teeth before you can have braces put on. Dr. di Bari evaluates each situation and advises you on your best treatment plan. If you think you may have an issue with one of your wisdom teeth, call Dr. di Bari at his practice in Sunnyvale, California. Early intervention can keep a small problem from becoming a much bigger issue later on. Book your appointment online or call today.